Well here we have a nice close look at ArcGIS Explorer including this screen shot of the interface. 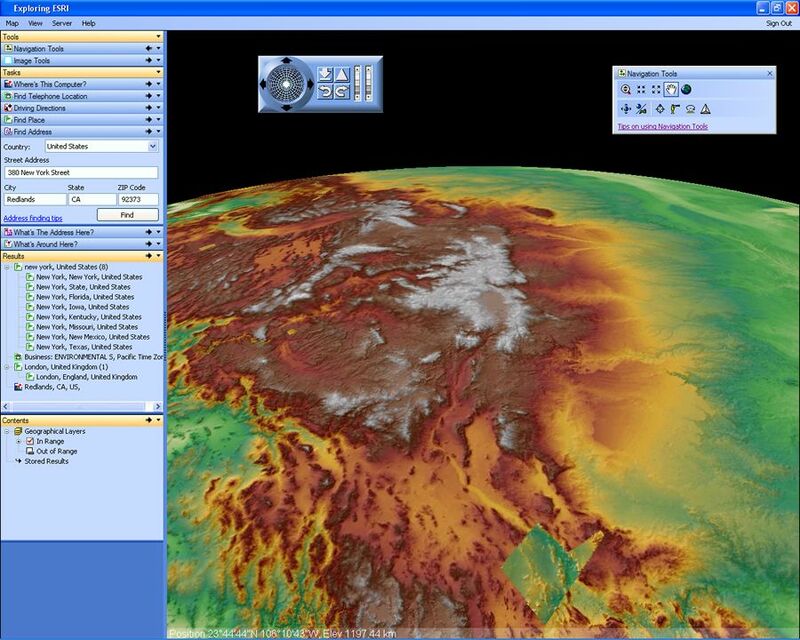 It has a very nice Windows XP look to it vs the non standard look of ArcGIS (yea i said it) and Google Earth. The screen shot is somewhat disappointing as it doesn’t show up satellite imagery but take a look at the “table of contents” on the left hand side and tell me you aren’t really interested in more information. Update - as I sent this out, Darren Cope linked to the same page also. He’s put some of his own spin on the ArcGIS Explorer story and why he thinks it might have a chance at being quite successful.